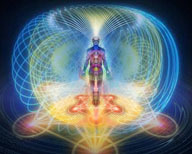 Drunvalo Melchizedek: Transformation of consciousness, polarity dissolving away, earth’s electromagnetic grid removed, merkabah and sacred geometry, the ability to create reality, the HEART knows all life is one, and much more. “It is a strange time on Earth right now because we’ve been so limited; we’ve been quarantined here. WE haven’t been allowed to leave the room. Somebody locked the door.” But now the door is opening and we are all waking up, with the whole universe becoming available to us.